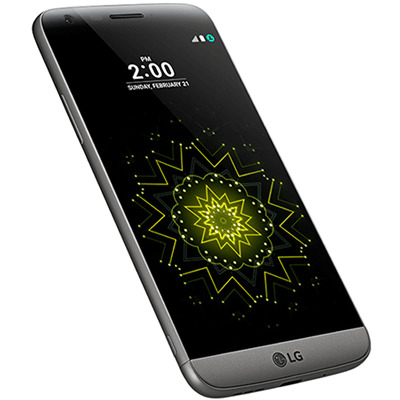 Running on a Qualcomm Snapdragon 820 (Quad 2.1 GHz), with 4GB Ram and Android™ 6.01 Marshmallow the LG G5 matches its power to its sleek design. WiFi, NFC and 4G connectivity keeps you up to date with your contacts, whilst 32GB memory allows you to take your documents with you on the go. Use one hand to take vivid photos on the 16 megapixel rear camera, thanks to the built in shutter button, zoom dial, and hand grip. Take and share Selfies with the 8 mega pixel front camera or grab even more with the 135° wide angle lens and magnifying zoom. Don't forget to get creative with the Fisheye, B&W, Vignette and Lens blur features of the LG G5. Enjoy the beauty of uninterrupted metal and glass in this simple iconic design, providing unparalleled comfort and in the palm of your hand. With a changeable module with slide-out battery, plug in the camera grip and LG Friends Manager, the LG G5 offers high end features and functionality. 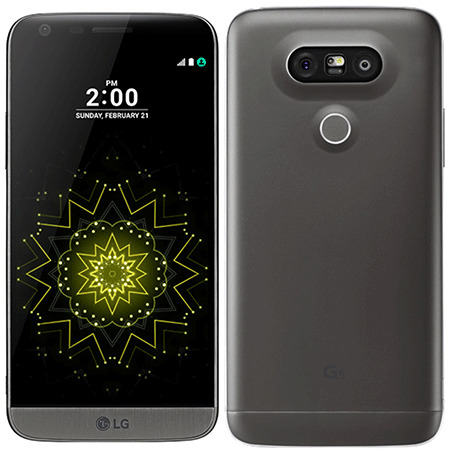 The LG G5 offers a vivid 5.3" QHD (2560 x 1440), 554PPI display. Never miss any information thanks to the innovative Always On display, no more hitting the button to check the time, date, or notifications. Thanks to the enhanced IPS Quantum display the screen is clearer even in the brightest day light.